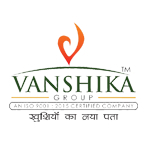 Vanshika Group follows the MBO (Management by Objectives). By using this approach company fulfills the objectives of investors. Company believes in collective approach. Vanshika Group, acquiring land at fastest growing areas and provide their investors a fare and good returns on product bought by themOur vision is to provide quality products & services that exceed the expectations of our esteemed customers. We firmly believe that our customers are the reason for our existence, and greatly respect the trust that they place in us. We grow through creativity and innovation. We integrate honesty, integrity and business ethics into all aspects of our business functioning. Our mission is to build long term relationships with our customers. We strive towards delighting our customers at every opportunity through exceptional customer service. Our future looks bright as we continue developing a strong base of key customers and increasing the assets and investments of the company.